The Labour Court recommends the implementation of a new Enhanced Nurse Practice grade from 1 March with a new higher pay scale ranging from €35,806 rising to €45,841. This would involve an increase of €2,439 or 7.3% compared to the current scale. The Court describes this as Phase 1 of a fundamental change in the role of the staff nurse. Nurses would have to work for the HSE for four years on the traditional scale before qualifying for the higher-paid ENP grade. Nurses who choose to remain on the existing contract will remain on the current nursing scale. 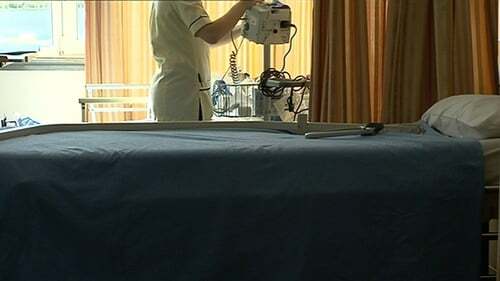 The Labour Court says the costs of the new Enhanced Nursing Practice arrangements will be funded by measures including altering the new entrant payments assigned to the nursing and midwifery professions (worth over €30 million), reduced spending on agency personnel, and the proposed productivity measures below. On the new entrant adjustments, which see changes to the incremental progression to restore pay parity, the Labour Court notes: "...the employer recognises that other parties to the PSSA may wish to explore possibilities of this nature within the available financial allocations, but such considerations are outside the remit of the Court in the context of the within dispute". Explainer: How much do nurses earn? Another key element of the recommendation involves finalisation within three weeks of a new nursing contract to ensure improved patient and service delivery outcomes. That new contract will require certain productivity measures, including cooperation with shifting work to the community, implementing of new approaches to management of chronic conditions and Sláintecare. The parties also will agree to flexibility and assessment of rosters in the context of the Framework on Safe Staffing, and a review of staffing and skill mix. The Labour Court also recommends that the number of Advanced Nurse Practitioners should increase to 2% of the nursing workforce. There will be a verification process to ensure that the required savings from productivity measures materialise - but if they do not, the roll-out of the initiative will be paused. There will also be an Expert Review of the Nursing Profession - which should include training and professional development. Other issues to be addressed include extending the location/qualification allowance to many Public Health Nurses in midwifery services, though the cost of this must not exceed €10 million in a full year.